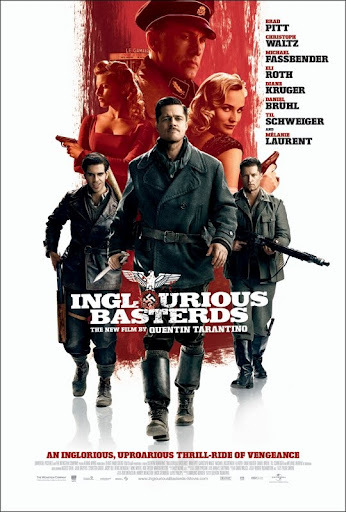 Inglourious Basterds: "That’s a bingo!" For Christmas I received a fresh special edition, 2-disc copy of Inglourious Basterds, and I have renewed my vows of love for this film. Few films can deliver like this WWII revenge story served Tarantino style. The plot, dialogue, acting, cinematography, and set design all bear the watermark of this master storyteller’s original and refreshing writing and directing. As always, Tarantino’s story wastes no time sinking its teeth deep into the audience. Mr. Tarantino knows how to build tension within scenes and from scene to scene, culminating in one of the most satisfying finales ever put to celluloid. The audience cannot help but invest in the film’s developed and dimensional characters. I especially love how everyone speaks their own language (the Germans speak German, the French speak French, etc.) and when someone tries to speak another language it isn’t a cakewalk—there are accent anomalies and cultural differences that make it difficult. This fact alone makes the film feel more natural than a lot of WWII films. However, Tarantino’s brilliance in character development goes far beyond linguistic variation. A full chapter of the film is afforded to introduce each of the three principal characters. Each generous introduction offers a glimpse into a fully-realized world in itself, complete with the intricacies and complexities of real people—with a little Tarantino attitude and sharp wit thrown in. Tarantino’s flavorful character development results in villains that the audience hopes to see brutally punished, to the point that when certain baddies are beaten with baseball bats, having swastikas carved into their foreheads, shot until their flesh peels off, and yes, even burned alive while shot with machine guns, asphyxiated, and blown up at the same time, the violence is necessary for the film—even gratifying—instead of vulgar. Blood and gore aside, this is a gorgeous film. The risks Tarantino takes with 30-minute long scenes, bird’s eye views through cutaway set pieces, and unconventional music choices all succeed in making the film something more meaningful to contemplate as a work of art, separate from the story and characters. You could mute the dialogue, and the images with the accompanying score would remain as something inherently beautiful and daring. In all honesty, there is one scene I would change in the film: the one with Mike Myers playing Winston Churchill’s right hand man. It feels a little out-of-place and out of pace with the rest of the story, moving slowly and with some redundant plot explanation. I think this scene could have been edited or eliminated, but that is my one small complaint for what is otherwise a perfect film. Hands down, I rate this film the best of the year. Nothing else comes close to touching it. Since Tarantino’s reputation precedes him, he had a lot of pressure while making this film, and he surpassed all expectations. 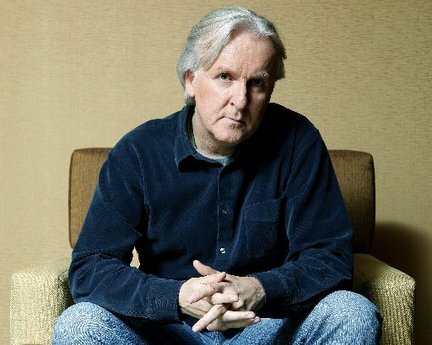 He created the capstone WWII movie, and I think it will be quite a while before someone returns to the genre. No one can rewrite history more satisfyingly and meaningfully than Quentin Tarantino. James Francis Cameron is kind of a geek god. My peers love to remember him for his works The Terminator, Rambo, and Aliens. But I like to remind people that he also made Titanic, one of his most critically-acclaimed films but also one of his most boring— a beautiful display of his inability to edit. I say Titanic is only one of his worst films, because Avatar, while visually appealing, was a three-hour film (that felt like it lasted days) with a predictable plot and the most terrible screenwriting I’ve heard in a while. If the cliché one-liners every three seconds aren’t enough to make you cringe, being beaten over the head with five simultaneous political messages might do the trick. As I said, the visual effects were the redeeming factor. The world created by Cameron was vibrant, with some delicious textures. And the line between the live-action shooting and the computer generated images was seamless. A lot of the time you forgot you were watching CG characters. At the same time, it was disappointing that this alien world that held so much creative potential was inhabited mostly by creatures similar to that of creatures on Earth (the aliens had their own versions of wild dogs and horses with some alien-esque modifications). These aliens, who had so many possibilities for a unique existence, were a blatant carbon copy of Native Americans. Their religion, speech, clothing, hunting methods, and social structure were unoriginal. Clearly, Cameron was hoping to create his own LOTR-type universe with another world and another language, but he failed to channel the imaginative genius of Tolkein. 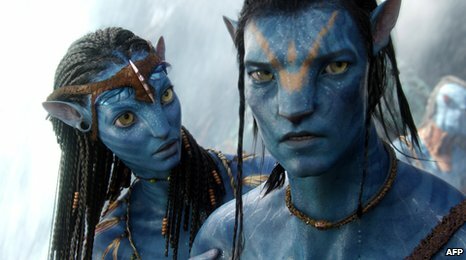 My two cents is to skip Avatar in the theaters (unless you’re a visual effects geek or a masochist) and watch it in the comfort of your own home instead. Upon renting it, you can pause it at the mid-point of 1.5 hours, stretch your limbs, and come back to it later if you choose. I could have easily gone another ten years without seeing this movie.